Tina Hassannia writes about Howard Hawks' seminal screwball comedy "His Girl Friday," now available on the Criterion Collection. 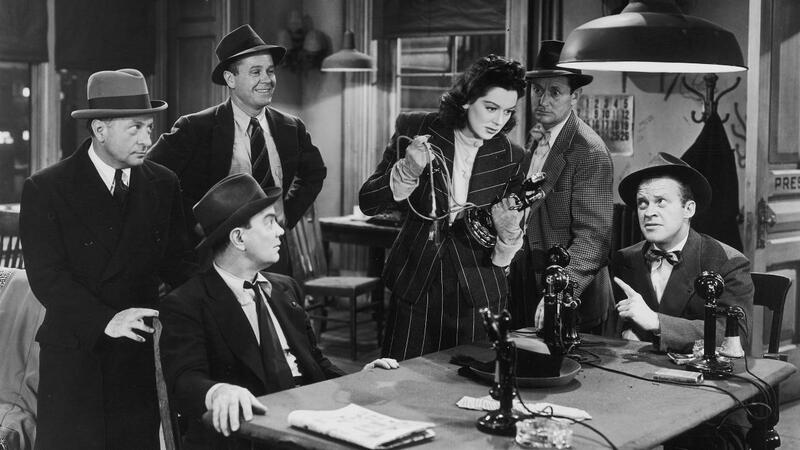 It’s kind of pathetic that 77 years after the release of Howard Hawks’ His Girl Friday, Hildy Johnson (Rosalind Russell) remains one of the most empowering fictional female journalists in cinema. This is not to slight the 1930s and 1940s era of screwball comedies—a time that fleetingly brought us memorable female roles thanks to the films’ then-prescient displays of gender equality—but to argue that Hildy’s problems still resonate even now, all these years later. By “problems,” I’m not referring to the pesky little traps her former editor and husband, Walter Burns (Cary Grant), creates in winning her back both as employee and wife (though those traps are undoubtedly shady). I’m talking about about her difficulty in making a decision about her identity and the conspicuous binary the film establishes between being a woman and being a newspaperman. The choice was simple for Hildy. After five years as Walter’s ace reporter at The Morning Post, she gave it all up for domestic bliss. But there’s a strange conflation here between giving up her job and giving up her marriage—she sees them as one and the same. Either you’re a woman or you’re a journalist; there’s no in-between. But what drove Hildy away from her career was not the unsavory nature of the business, but the less-than-savory nature of her ex-husband, namely Walter’s unfulfilled promises of buying her a home and taking her on a honeymoon. When juicy scoops continuously take priority over their relationship, Hildy hastily quits both him and the business. “But you’re a newspaperman,” says Walter. “I wanna go someplace where I can be a woman,” she argues back. Domestic bliss is one train ride away with her new husband, the milquetoast insurance man Bruce Baldwin (Ralph Bellamy), who’s ready to settle down with her in stifling Albany and raise a family. Hildy tells her journalist peers—all men, of course—“I’ll live like a human, not like you chumps.” But as it turns out, Hildy is also a chump. When she encounters an opportunity to score an exclusive interview with a murderer on the loose, she can’t help but dive deep into the story. Once she’s plugged in, she’s in. Even her doting new hubby can’t compete with the delicious scent of a career-defining story. “They’ll be naming streets after you; there’ll be statues of you,” Walter promises, goading on Hildy’s rediscovered career hunger. As we watch her follow the clues in finding out more about the fugitive, we see that she’s better at her job than everyone else. It’s because, in Walter’s words, she’s got “a woman’s touch”—her empathy supposedly allows her to better connect with interviewees—but the way she conducts herself throughout the film is more-than-sufficient proof of her cutting edge. She’s faster, more nimble and strategic. Hildy doesn’t just match the all-male competition, but far exceeds it. But what about being a woman? What His Girl Friday presupposes is that in order to be a woman in journalism, you have to give up being a wife and mother. 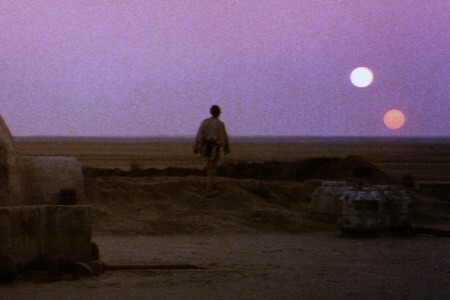 The long, hard hours away from home; the inconsistent scheduling; the energy, speed, and curiosity required to keep up with scoops and leads—it’s not that women can’t have such qualities or abilities, but that the endurance required to be a hard-hitting journalist clashes with the similarly tiring efforts required to be a mother. His Girl Friday never addresses whether or not Hildy will have children by its end, though the couple’s remarriage, announced suddenly in the final moments of the film, is soon interrupted by another breaking story, one the duo agrees to tackle on their way to their honeymoon in Niagara Falls. In a matter of seconds, His Girl Friday shows Hildy agreeing to put up with the unpredictable ways of the business while being in love, because that’s just how it’s got to be. Marriage is a compromise, after all. We only get that hint at the film’s end that Hildy can be a journalist and a woman, though; there’s no guarantee what exactly that entails. 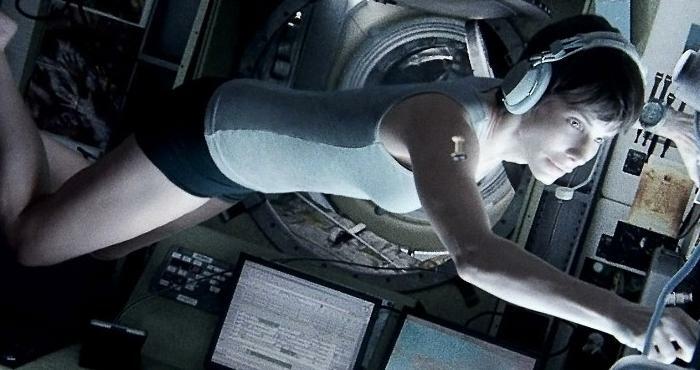 The film doesn’t so much allow its female lead to overcome gender disparity as it compellingly shows how difficult it is to be a female journalist. And perhaps one of the reasons we continue to value the film as one of the best screwball comedies today is because Hildy’s portrayal still stings. So little has changed in the years since Hawks’ film came out. Sure, since the 1940s, the workforce in general has shifted to accommodate the personal needs of employees, but journalism remains an unpredictable, exhausting, and time-consuming profession, one that is often at odds with parenting. Studies and reports still show that many journalists, particularly women, have problems achieving a work-life balance. His Girl Friday provocatively suggests that being part of a journalist couple like Walter and Hildy is a kind of marriage itself. Two heads are truly better than one in this line of work; watch as the two of them interrogate and intimidate the corrupt mayor and sheriff near the end. They make a great team. And why not? 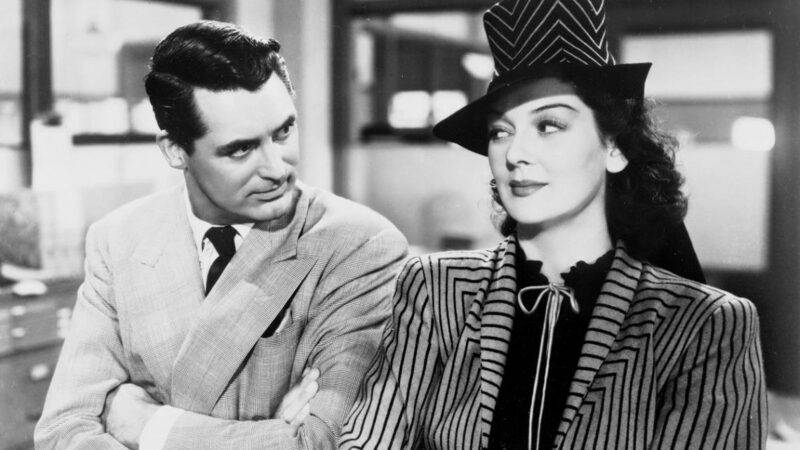 His Girl Friday may initially idealize womanhood as a domestic, boring life of children-rearing and delicate housewifery, but it eventually shows that maybe there’s another way of being a woman entirely.